Chia seeds boast numerous health claims – weight loss and a good source of antioxidants and protein are just a few of them. But seriously! What the heck is the deal with these little black and white seeds? A few years back, chia seeds started coming into the forefront of healthy eating. Why? What’s their deal? Sure, ‘healthy people’ are throwing them into their oatmeals, smoothies and yogurt, but we as informed individuals should know why. Surely these seeds must offer some nutritional punch, which bring us to April’s Hot Nutrition Topic. Oh yeah, these posts (much like Shameless Product Placements) are freaking back. 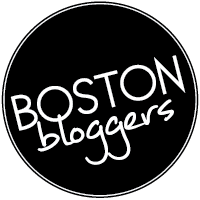 And I got news for you my few but avid readers, I love these posts because there’s nothing better than exercising your brain, learning more and getting to the facts on all things nutrition. As a kid, Chia Pets were all the rage for my generation. Just add water and watch these terra-cotta pots sprout! It was my first introduction to chia seeds. Now in 2014, these little babies are back, but instead of watering them to grow grass, we’re ingesting them to better our health. Chia is an edible seed cultivated in Mexico dating back to the Myan and Aztec cultures. Little known fact, these seeds are also a member of the mint family. Chia seeds are an excellent source of fiber, protein, omega-3s and antioxidants. And unlike flaxseed, chia seeds are able to be processed and absorbed by the body. In theory, chia seeds are thought to expand in the stomach and increase satiety, thus promoting weight loss. However, in terms of the chia research out there right now, this weight loss theory continues to go unproven. But you know what curbs over eating and promotes satiety? 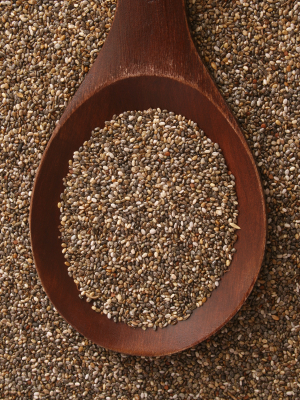 Protein and fiber – oh yeah, chia seeds have both those features! One ounce (about 2 tablespoons) of chia seeds contains 139 calories, 4 grams of protein, 9 grams fat, and 11 grams of fiber. As a dietitian, I say food before supplements. While chia seeds may not help you shed the added winter weight for beach season, they are still a good good source of protein and fiber to help keep you feeling full. Their mixture of fatty acids and antioxidants also provide an excellent anti-inflammatory mixture. For weight loss, I advise sticking with a healthy, calorie-reduced diet and exercise. Sorry kiddos. Add chia seeds to smoothies, yogurt, oatmeal, salad dressings and baked goods for added nutritional punch. Below is HR’s Overnight Oats recipe for a simple way to start incorporating chia seeds into your diet. Make this recipe the night before and store in a sealed plastic container overnight in the fridge. Voilà! The next morning you have delicious oaty goodness at your fingertips ready to be devoured come breakfast time. 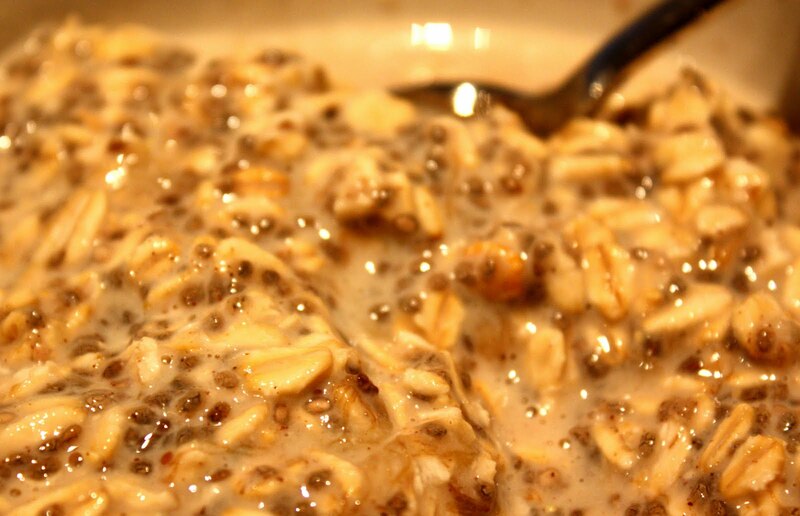 In your plastic container, mix together oats, cinnamon, and chia seeds. In a small separate bowl mix together milk and the mashed up banana. Add the milk and banana mixture to your dry ingredients. Stir well. Cover and place in fridge overnight. Stir up in the morning and enjoy! I enjoy it as is, but feel free to top with nuts, dried coconut, peanut butter, dried fruit or pure maple syrup. Nieman, D. Nutrition Research, May 2009; vol 29: pp 414-418.